The Mobile Final Assembly Line has reached another great milestone: we have delivered our 100th aircraft. The A320neo was delivered to Frontier Airlines, thanks to the hard work of all of Team Mobile. We anticipate many more milestones as we move forward into the future. 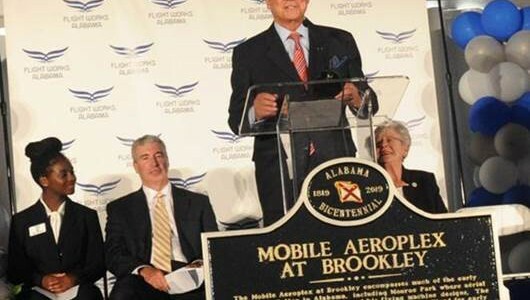 Airbus Alabama: We Make Pink Fly! Along with their colleagues at Engineering and Defense & Space, members of the Airbus Mobile Final Assembly Line raised more than $5,360 for the American Cancer Society’s fight against breast cancer. October is Breast Cancer Awareness Month, an annual campaign to increase awareness of the disease and work for a cure.